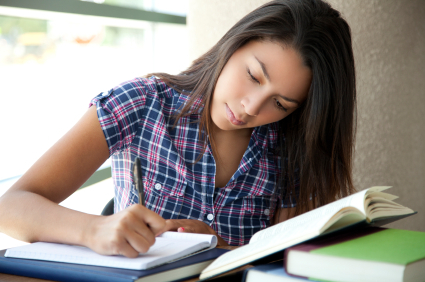 Looking for the highest quality SAT Prep and ACT Prep in the Orange County area? You've come to the right place! The Learning Shack offers comprehensive SAT, ACT, SSAT Prep and math, science, and humanities tutoring for all levels. This blog post discusses 3 things you can do to help your child become a better reader today. Learning to read is a lot easier than you think! Is Tutoring With The Learning Shack Worth It? As the founder of a test-prep consulting company, The Learning Shack, I’m already getting questions about the new upcoming SAT exam: Why is the SAT changing? What’s on it? Will it be much harder? How should I get ready? What are colleges saying about this? While these tests are almost certainly not enough to succeed as a stand-alone comprehensive SAT prep course, they do give us some idea just what will be on the new test and how it differs from the out-going exam. I am used to the old test! Why is it changing?? College admission testing, like a hurricane or a new tax plan, is like so many things in that it receives little attention until it suddenly threatens ones plans for the future and forces you to seek shelter. While the SAT has been largely the same test for years, the upcoming SAT overhaul, with the new PSAT in October and new SAT next March, is a significant enough departure to have made national news and generated questions of uncertainty from those most directly confronted—parents of students and students graduating in 2016 and after, or the first Common Core bracket. The reality is that the SAT is a test that is created by a business, the College board; and that business has competition. In this case, the College Board’s main rival is the ACT, inc. For years, students have asked me which test to take, the SAT or the ACT? Is the ACT easier than the SAT? Do colleges prefer one over the other? Can I take both? With the advent of common core, the ACT now likely has a more distinct advantage than ever before. While the SAT was always the more ‘coachable” test, the ACT has traditionally focused on more academic content. With shorter and more coachable sections, learning the “tricks” of the SAT exam often gave SAT prep students an edge over the ACT. However, since the majority of the ACT questions are more focused on classroom based content and are less amenable to “tricks,” the ACT may now actually lend itself better to students who will grow up with a Common Core curriculum. In fact, this is the feedback I am getting from a lot of my students. This is a HUGE deal. In addition to functioning as a categorization vehicle, the new SAT will now serve as an indicator as well. What used to serve as a type of college admissions discriminator must now function as a test of college readiness. It is no longer an exam sold only individually to college applicants, but also by the boatload through state contracts which attempt to compete with the ACT. So naturally, it will have a look and feel more like the ACT, and content more representative of Common Core. While it may not be clear immediately how effectively the new test will correlate with a student’s success in college, we already know a few things as of now. The new test will attempt to be more in line with the ACT and Common Core by: requiring students to use evidence to support answer choices, inspiring them to increase their focus on math skills, asking students to comprehend and deduce answers from information delivered through text and graphs, and involving students with multidisciplinary content. In the next blog entry we will look at what specifically has changed and what is covered on the new SAT. Stay tuned! For students seeking admission to private middle and high schools, the ISEE test can prove a formidable obstacle. The exam seeks to assess student readiness for private school work by giving students a chance to show proficiency in broad range of topics such as math, reading comprehension, and vocabulary mastery. Students take the ISEE test that is geared toward the grade level that they will be entering in the fall. The best study plan is generally a long-term one. This way students will have a chance to assimilate strategies and practice as much as possible. Here are 5 Tips that will help you prepare for the ISEE. Just like preparing for any sport or competitive activity, test preparation is about developing endurance and consistency. While students are not running laps or shooting baskets to prepare for the ISEE, taking timed practice tests to get used to the conditions they will encounter on testing day has a similar effect. By taking these tests, students will know which areas they need to work on, and will feel more comfortable taking the test when it counts. What is the best way to get better at Reading Comprehension on a standardized test? By reading as much as possible. Reading builds an understanding of the kinds of challenging texts one will encounter in high school and college, as well as develop one's vocabulary. While any reading is helpful, it is best to avoid gossip magazines and trashy novels. Choosing classic novels, trade magazines, the business section of the newspaper, or any challenging text, will have a powerful and dramatic effect on vocabulary and comprehension. Just reading passively is not enough. The key to developing a good vocabulary, which will help students on the ISEE and other standardized test such as the SAT, is to look up unfamiliar vocabulary words as you read. Make a list of all unfamiliar words and try to create sentences using those words. This will help students associate an image or phrase with the word's meaning, making it more powerful and easier to recall. Unlike the SAT, the ISEE does not offer a list of math formulas at the beginning of the math sections of the exam. Therefore, it is important to drill math formulas such as special triangles, area and perimeter, and statistical formulas. Don't just memorize the formulas though. Be sure to use common sense and estimate answers where you can to avoid long computations. This will save you time during the test. Finally, the most important bit of advice is not to wait to prepare until the last minute. Begin studying several months before the ISEE so there is time to get familiar with the test. Just like an athlete, you don't want to go into the game unprepared and uncertain. Just like having a coach helps an athlete to train, using an experienced SSAT tutor will help speed up the process of preparing for the exam and fill in any gaps. Our highly acclaimed expert tutors at The Learning Shack make the process of studying for the test more efficient and fun! Contact us today to get started! Often I am asked by students who are heading to top universities, “Are there any options for an experience prior to attending college, that is not necssarily academic?” The answer is a resounding, “yes.” The gap year or semester interim alternative is being utilized more than ever before by students and welcomed by colleges. 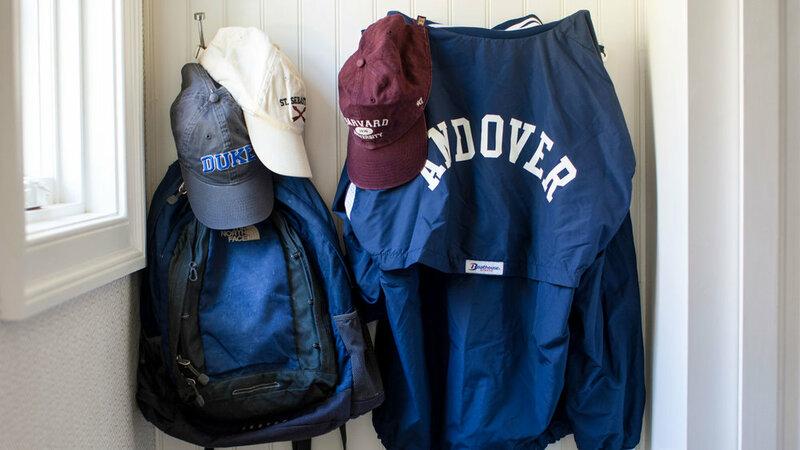 A gap year can be the time for soul searching; a time for adventure into areas students have not had the opportunity to explore, if for example their summers have been crowed by academic pursuits or sports camps in the past. The concept began in the U.K. and has become remarkably popular in the States. For many youngsters who have never left home, it is a time to thrust themselves into activities that may not require academic work; programs can be academic, or philanthropic however. Gappers can travel with college age peers to places such as Europe, the Middle East, Asia or Canada, where they can polish their language skills or even try-out a new language by living in abroad. For the students whose future may lie in the fashion industry or the culinary arts, there are local and international gap year programs as well. It only takes opening the door to adventure and curiosity; asking questions that just can’t be answered by simply reading a text book. Over time the gap year has become more influential in its impact on students’ college majors. Rather than selecting a major in which gappers have little experience, the respite before college affords students the occasion to explore their passions in more depth, or to discover a new passion they overlooked while buried in a text book. Going abroad or enrolling in a program in the States, young adults step out of their comfort zone and push through many of their doubts about future life designs. Parents ask, “What can you guarantee will be the benefit of a gap year?” The response is each student is different, but yours will, without doubt, have a life altering experience. To me, it is the lack of certainty that is so appealing about the gap year. A family has to permit their child to be open minded, tolerant and flexible to receive the full benefit of this time out from academics. I want to emphasize however, that I also have students who enroll in academic programs to study in-depth interests they are intensely passionate about investigating: economics; history; writing, fashion, volunteering or sailing the seas. Perhaps my passion for the program extends from my personal experience with the gap year. My son was a gapper prior to attending the University of Pennsylvania. He worked several summers before leaving to have extra spending money and then departed to explore the unknown and uncharted waters of the world, without any specific plans. For my son, who had attended a boarding school, he had already experienced the independence of being away from his family and had the self-confidence to travel without being a part of a group. His travels took him throughout Europe and the Middle East. At times lonely, at times questioning if he had made the correct decision, he returned home with astounding personal narratives; stories he would never have had if he had enrolled directly into yet another more highly competitive arena. He learned the importance of silence when he was alone, the ability to meet up with other traveling gappers, to share time with total strangers and read books avidly. He pushed through those moments when he was most frustrated with the hostel he slept in or tried to find a safe place for his backpack on the days he remained in a city for an extended period of time. When he was in Israel for example, he lived and worked on a Kibbutz (which is a story in itself!) But I'll save that for another article. Perhaps most important, universities do not look upon the gap year as a negative, but as a sign of a mature, well-rounded individual. There are no negatives; only regeneration for the longing to learn more about the world and oneself. Thus, when working with a student who is inquistive and ready to meet life head-on, I offer the families that I work with the electrifying option of a gap year. Our goal with the blog is to offer you different perspectives and a wealth of information on topics related to education. In addition to our Test Prep and Educational Consulting focus, we are are fortunate to have colleagues who are experts in a variety of educational disciplines, including College Advising, Boarding School Preparation and Application, Learning Disabilities, and Financial Aid. These professionals share our passion for education and helping others succeed. Take some time and browse through the articles. Contact information is included with their entries, so feel free to ask any questions or follow-up with contact. Hope it helps and please give us feedback so we can provide the information YOU desire!